Collagen is a structural protein which produced by the skin and other parts of the body. This precious protein and other proteins such as elastin are components of youthful skin. For instance, it works with keratin to provide the skin with strength, smoothness, elasticity and resilience. They are basically building blocks of the skin, forming mesh-like bonds to hold it firm and stop it sagging. It works like the cement which keeps everything together. Collagen production will continue as long as you are alive. However, there can be decreased collagen content in older skin compared to younger skin. That’s why children and young people have such healthy shiny hair and smooth skin. When you are young, you have plenty of collagen in your body but collagen production declines with aging. Therefore, skin weakens and this causes wrinkles, necks become saggy, lines form around eyes and mouth. Collagen is important to keep your skin elastic and give it a plump, youthful look. Before trying to increase collagen production, you must first try to prevent collagen degradation. Other than the natural aging process, the three S’s are the three biggest enemies of collagen. It is important to avoid these three S’s; smoking, sun and sugar for younger skin. Smoking reduces the production of collagen, ending up with wrinkles. A study published in the “British Journal of Dermatology” in 2002 showed that 18 and 22 percent decrease in types I and III collagen were obtained by smokers, respectively, compared to nonsmokers. So, you better stop smoking to improve your overall health and promote collagen production for firmer skin. Do not expose sun between 10:00 – 15:00. Also, you should wear sunglasses to protect the delicate collagen around your eyes. Do not forget to apply sunscreen lotion generously to your skin to prevent further damage to skin cells. Sunscreen helps protect your skin from the sun’s harmful ultraviolet rays which can be destructive for collagen and elastin. Buy a sunscreen with a sun protection factor (SPF) of 30 and above and apply it to your skin 30 minutes before going outside. Another aging factor is sugar. It is kind of a poison for collagen. When sugar molecules get in the blood stream, they attach to collagen proteins and prevent them from working properly. Other factors such as stress, unhealthy lifestyle, overdependence on harmful processed foods, caffeine, alcohol, pollution and lack of exercise speeds up the process of skin aging. Because, they lead to both a degradation of collagen and a decrease in the formation of new collagen. To restore your levels, you must help these cells produce more collagen. Collagen creams promise to decrease wrinkles and plump up your skin. However, scientists say that they are wasted money in a jar because the collagen molecules in these creams are merely too large to penetrate the skin. They just stay on your face until they are washed off your face down the drain, along with your hard-earned money. There are lots of effective and natural ways to increase collagen production and make your skin as shiny as it can possibly be. Blueberries include phytonutrients which are organic compounds. They ease collagen fibers link together, so it helps your body produce collagen. Spinach, kale and Swiss chard are some of dark leafy greens and all rich in vitamin C and vitamin A and encourage the body to produce more collagen. You will also benefit from their other properties like cancer protection. They contain an antioxidant called lutein. You need only 10 mg of lutein to get results which is found in 4oz. of spinach or 2oz. of kale. A study suggests that they will improve skin hydration and elasticity to fight wrinkles. Also, regular consumption of kale, spinach, collards, and asparagus help strengthen the body’s ability to produce collagen and to utilize the protein effectively. According to a study, vegetables containing sulfur, which garlic has plenty of, boost collagen production in your joints and skin. Garlic also contains taurine and lipid acids which help heal damaged collagen fibers. Cabbage, onions and fish are also sulfur-rich foods. According to a study done by Kingston University, white tea can preserve the structure of the skin proteins, especially collagen molecules. Ascorbic acid, which is also known as vitamin C, plays an essential role in elastin and collagen synthesis and may protect the skin from the damaging effects of ultraviolet radiation. It also decreases the rate of free-radical damage. Some of the fruits containing Vitamin C are strawberries, pineapple, oranges, tomatoes, citrus fruit, Broccoli, Bell Peppers, dark leafy greens, and papaya. If you want a glowing healthy skin, your diet should include soy products like soy milk and cheese as they help you get rid of wrinkles and fine lines. They contain a compound known as genistein, which is a natural plant hormone in soy. This compound improves the production of collagen. 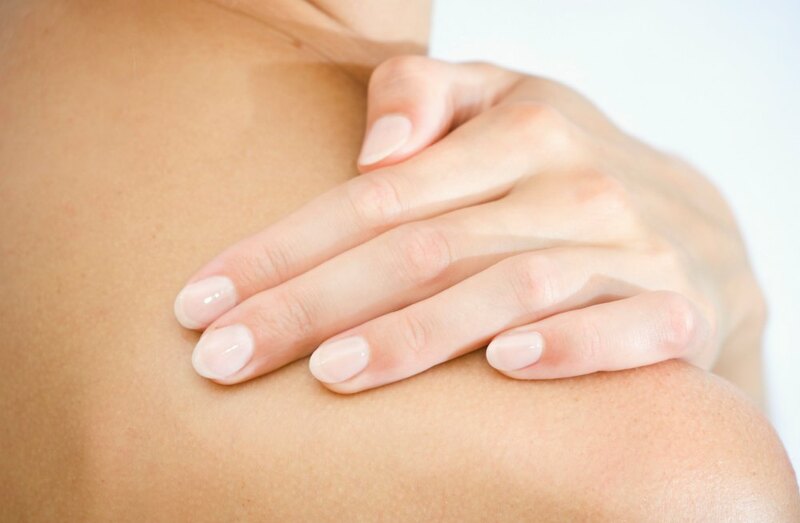 Moreover the presence of genistein helps block enzymes that tend to break down and age the skin. The presence of antioxidants in soya also has an important role in skin care. Antioxidants protect the skin by regulating the production of free radicals which can be the main reason of damage to a cell. Firming the skin is another important benefit of antioxidants. Beans encourage your body to produce a vital anti-aging substance called hyaluronic acid. Hyaluronic acid holds water that plumps your skin, making wrinkles and lines less visible. It improves skin hydration, keeps the skin moist and smooth, increases skin elasticity and collagen synthesis, nourishes healthy skin cell growth, helps firm skin tone and supports healthier joints. It is one of the most important components that plays an important role in cell production and migration. Try to eat at least two tablespoons of beans each day. You can consume in any form but sprouts will be a very healthy option. Red fruits such as apples, oranges, cherries, strawberries and red vegetables such as beets, red peppers, carrots, red potatoes are anti-aging foods that promote collagen proliferation. Lycopene, which is an antioxidant in red fruits and vegetables, boosts collagen production and prevents DNA damage in cells and helps cells function better. A study conducted by Dr. Ronald Watson at the University of Arizona has found that the antioxidants in red, yellow and orange foods form under the skin creating extra UV protection. Dr. Watson also says: “The effect is so strong that eating six portions a day for about two months will build a natural barrier equivalent to a factor four sunscreen”. For this reason, try to add red fruits and vegetables to your diet. Vitamin A not only helps increase collagen production but also slows the breakdown of collagen and elastin that leads to skin aging. It also thickens and stimulates the dermis where collagen, elastin and blood vessels exist. Moreover, to improve blood flow to the surface of the skin, it is beneficial as well. Vitamin A also repairs the cellular structure of the epidermis, which help protect from UV rays and it reduces the clustering of melanin granules, which also reduce brown spots and pigmentation. It also helps get rid of acne by decreasing sebum production. In addition, it provides a strong cellular membrane around the cell and help eradicate pre-cancerous skin lesions. Consume more raw carrots, fresh cantaloupe, spinach, apricots, broccoli and baked sweet potatoes to get extra Vitamin A.
Omega-3 fatty acids are essential fatty acids which provide an ideal environment for collagen production. Skin cells are covered by a fatty layer made from omega-3 fatty acids and other fats. For this reason, the more your omega-3 consumption, the stronger that layer is, and the plumper your skin cells are. Thereby, your lines and wrinkles will be less visible thanks to omega 3 fatty acids. They are very important for our health but our body can’t produce it. For this reason, the only source of omega-3 is our food. Cold water fish such as salmon and tuna are excellent sources of omega fatty acids. Also, nuts such as cashews, pecans, almonds, walnuts and Brazil nuts contain large amounts of omega-3 as well. Another amazing source of omega 3 fatty acids is flaxseeds. One cup of walnuts contains about 10.8 grams and one cup of flaxseeds has about 25.2 grams of omega 3 fatty acids. Avocado oil is rich in plant steroids which help reduce aging effects. It is a great source of Vitamin E and omega-3 fatty acids which protect our skin from damage caused by free radicals and protects skin cells from oxidizing. It also boosts collagen production and decreases the risk of skin cancer. Moreover, it is very suitable for dry and damaged skin because damaged skin cells will be regenerated and rejuvenated by this oil. It also hydrates deeply and highly complies with the natural oils in your skin. Avocado oil is scientifically proven to increase collagen production and to improve the proportion of soluble collagen in the dermis of your skin. For this reason, if you use face masks or creams that contain avocado oil, you will encourage your skin to naturally produce collagen. Don’t forget to add fresh avocados in your favorite salad. When you are sleeping, your body repairs, rebuilds, refreshes and restores damage that happens every day. If you do not sleep at least 7-8 hours every night, you prevent this restorative process and diminish your body’s ability to produce collagen. Lack of sleep is also linked to increased stress hormones, which causes inflammation in the body. This can aggravate existing skin problems, even the breakdown of both collagen and hyaluronic acid, both of which are responsible for a glowing, healthy skin. It’s crucial to remember that collagen preservation is just as important as collagen production. Collagen production is not a cycle that is out of your control. Taking care of your skin is the best way to make sure that age and other uncontrollable issues do not stand in the way of healthy skin.